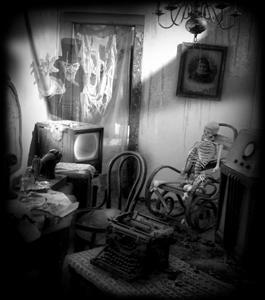 Yes, every haunted house has a story. 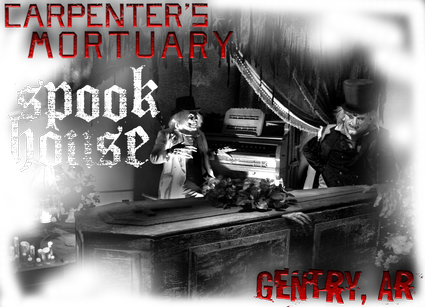 And if you ask the phantoms who hang out in Gentry's old mortuary, they might tell you theirs. It’s true that most encounters with them have been described as little more than HELLISH SCREAMING followed by the sensation of having flesh pealed from bone. But on rare, quiet nights, they’ve been known to flit around the place, gibbering about the past, about the Carpenter Building . . . and what happened there. They laid the final brick in October, the same month Wall Street’s crash kicked off the Great Depression. This lousy bit of timing threatened to doom Mother’s big plans to stillbirth; because even though her undertakers stayed busy (poverty and malnutrition in rural Benton County guaranteed a steady flow embalming fluid), nobody could afford to shop in her store—the retail operation was dead on arrival. And yet she hung on, even thrived. 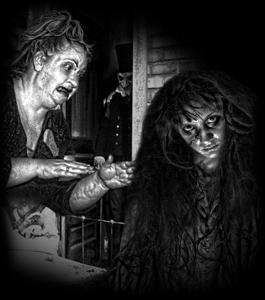 The ghosts claim to know how she did it; they say she made a secret deal with the State to house children from its overcrowded orphanage in the vacant parts of her building, that she embezzled the money meant for their care and let them starve and freeze. 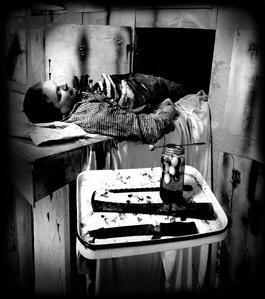 They accuse her morticians of torture, experimentation . . . murder. 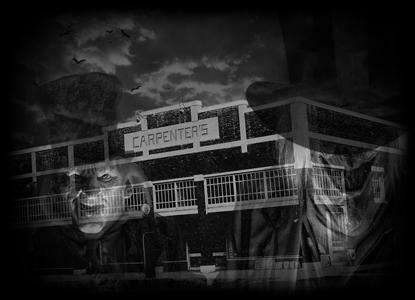 ~ In the fall of 1950, Mother Carpenter suddenly and mysteriously sold out and vanished. The building sat empty, neglected. Maybe that’s when the ghosts started yapping. Who knows. They murmur about their final living moments in that decrepit, awful place; the night when, out of fear of an impending investigation, Mother and her goons cremated the remaining children. Some of the ghosts say they were still alive when they started burning. It was Halloween night.